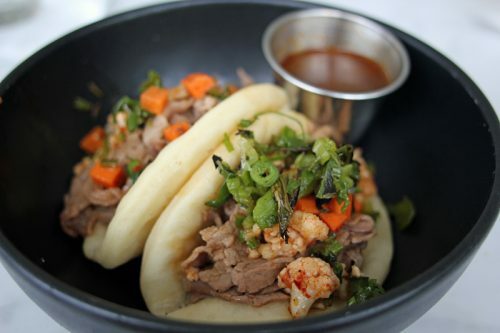 LAST WEEK I WAS AT A FRIENDS AND FAMILY DRY RUN for BiXi Beer in Logan Square, which opens tonight, and one of the items on the menu looked like it might be fun (either that, or a really bad fusion idea)—Chicago Beef Bao. The ingredients of an Italian beef, seasoned thinly-sliced beef, with giardiniera on a puffy rice flour bao. It turned out to be pretty good, proof that the fundamental idea of Italian beef is solid. Good quality beef simmered in an Italian-spiced jus, topped with a little acidic bite from pickled vegetables of some sort, served on a hard roll—and though you can get cheese on one in certain parts of the far south side, generally speaking Italian beef eschews such Philly Cheese steak excess for a refreshing simplicity. 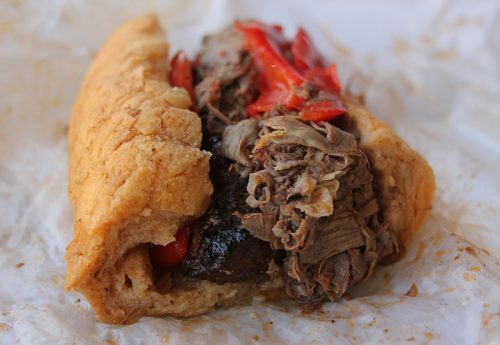 There’s nowhere for meat quality to hide in an Italian beef; it’s either good or it’s not. BiXi’s was good. We all know Italian beef to be one of the essential Chicago foods—which is why, of course, a new restaurant and brewery feels able to do a play on it and know that everyone will get the joke. The thing is, though, for the last few years I’ve been wondering if the essentialness of Italian beef is observed more in the breach than in, you know, people regularly eating them. 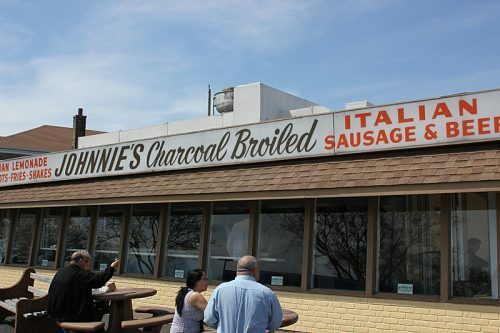 It’s not that there won’t be a line at Johnnie’s Beef in Elmwood Park, any time you go there, or that people aren’t still standing in two lines for the classic Taylor Street one-two-punch of the original Al’s and Italian lemonade at Mario’s across the street. And it’s certainly not that Chicagoans won’t eat beef—burgers are bigger than ever, in all senses of the term. But part of the measure of whether a food tradition is alive is whether people are still opening new places, not just visiting classic old ones. I’ve wondered that about a lot of classic Chicago foods, actually—it had been a long time since anyone had opened a new deep dish pizza place, but eventually we got Labriola and Bartoli’s and others. The south side pitmaster tending South Side BBQ in an “aquarium” smoker seems a fading figure, yet a couple of those have opened, too. 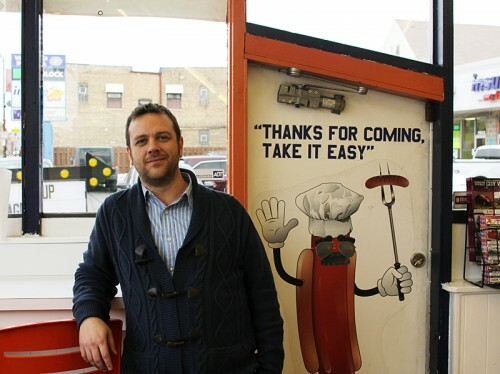 Even classic Chicago hot dog stands seem rarer on the ground than they were when I moved here, certainly—yet if you open one that’s clearly a good one, whether Hot Doug’s or just Red Hot Ranch, you’ll do plenty of business today. The situation with Italian beef is different. Places offering and specializing in it open—but they don’t make it very long, at least not as beef stands. The people behind BRGRBelly on the northwest side opened Beefbelly—and wound up keeping the name but replacing the Italian beef with burgers and chicken sandwiches. A new place in a Ukrainian Village gas station called Scali’s Beef, an Old Town location of south suburban staple Pop’s Beef, a place called CaPo’s specializing in Chicago classics in Noble Square, that started off with great publicity in the Tribune—all opened and closed within a short time. Most notably, the Heisler group planned a place called Regards to Edith (an obscure reference to Maxwell Street) in the Google building in Fulton Market, with a menu from Jared Wentworth (Longman & Eagle, Mordecai). Eater, which tends to lead with the bad news (their opening piece on BiXi is more about building delays than beer), headlined it “Fulton Market’s Latest Serves a $19 Italian Beef,” prompting a social media discussion of whether an Italian beef could ever be worth $19. Apparently not even to Google employees—after 8 months, Regards to Edith and the bar attached to it, Prairie School, were gone. So you can do a play on Italian beef, but apparently not a straight-up Italian beef these days. It’s kind of like jazz or film noir, something that symbolizes a classic taste in America—but doesn’t actually sell. If you tried to put a modern star, a Harrison Ford or a Ryan Gosling, in a genuine trench coat detective-femme fatale movie out of the 1940s, it would seem weirdly out of place. Apparently you can only do it if you call him a blade runner and set him in a retro future—a future that, like a Chicago beef bao, is half Asian. 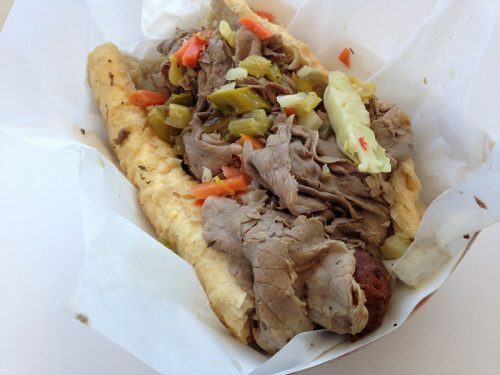 BRENDAN O’CONNOR HAD ITALIAN BEEF on the menu at Big Guys Sausage Stand in Berwyn for a long time. 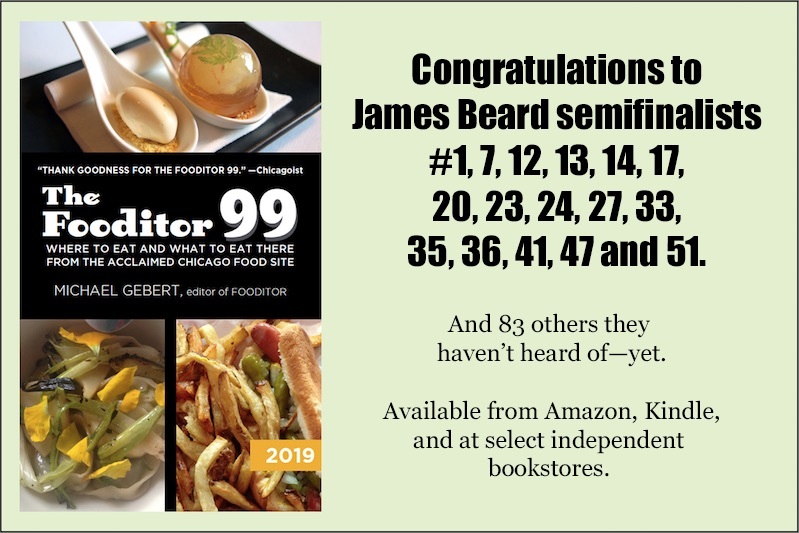 He doesn’t now, as his menu has evolved more to burgers and big sandwiches made with housemade meats like corned beef, but it remains a popular item in catering—even though it’s not on that menu, either. But in Berwyn, doing a beef is a basic assumption. It’s definitely a guy—or a really tough lady. They look at you skeptically, like, you better not f— this up. “We can whip up a pretty good Italian beef, and it’s the ultimate catered item—it can sit on a can of sterno and it goes really far,” O’Connor says. (In that, he’s just echoing the Italian families who made it to feed crowds at weddings reasonably in the 1920s and 1930s.) But he found it hard to manage in a restaurant doing a wide variety of items. “It has to simmer. 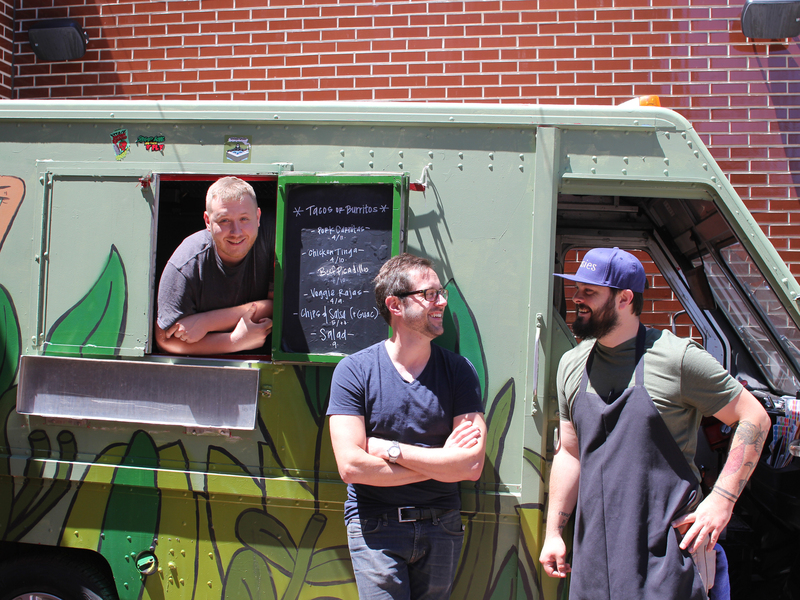 You can’t just drop the meat in the jus,” O’Connor says. Beyond that, he noticed something different about the beef customer that would prove to doom Beefbelly’s model—”At BRGRBelly, we get families. The Italian beef customer is a single customer—I come for my beef, I eat it and I leave. And they’re not really interested in artisan beef. They’re not looking for a new beef at all.” In the end, they removed Italian beef from the menu and made it a burger spot. 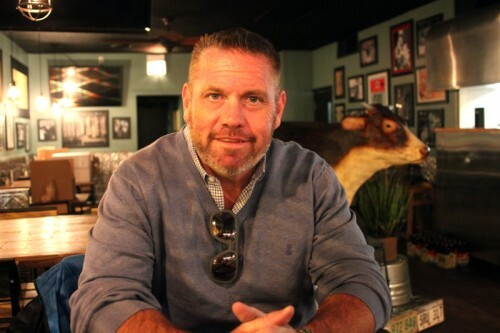 O’Brien is an experienced corporate food guy, so he sees another limiting factor for Italian beef’s growth—it’s really not known outside of Chicago. “Everybody’s heard of Philly cheese steak, but Italian beef doesn’t have that much of a national profile.” Despite that, he does think Italian beef has a future—at one chain. 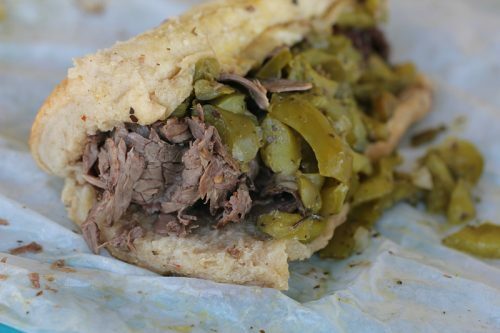 BERWYN AND THE NORTHWEST SIDE REPRESENT classic Italian beef demographics. Today both may be gentrifying out of being blue collar areas, but they at least have roots in a world where Italian beef was a staple for you, and your Polish laborer old man, alike. Avondale is theoretically the same kind of neighborhood—but like so much of the near north and near northwest side, there’s no real connection between the old neighborhood and the new kids moving there, many of them from places other than Chicago. They don’t have a favorite Italian beef place—they may never have had an Italian beef, period. 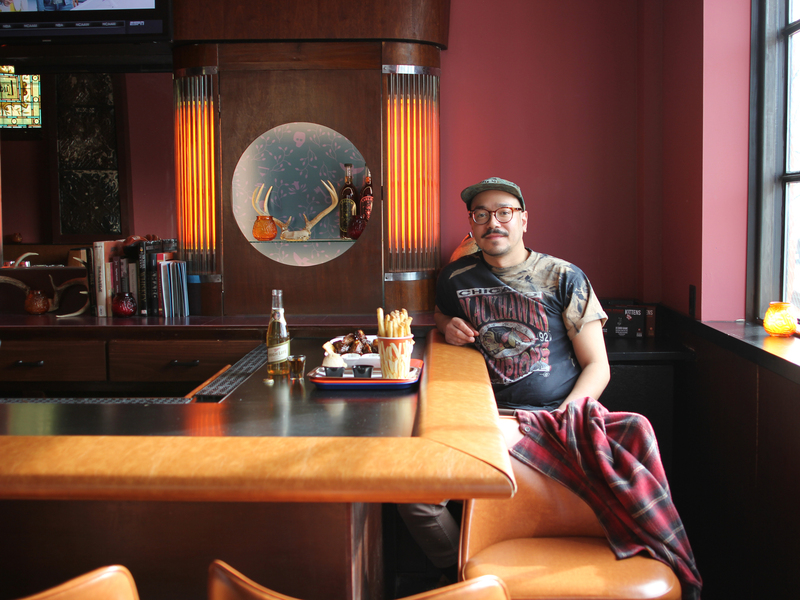 Nick Jirasek, chef of Old Habits inside Ludlow Liquors, is trying to do his versions of Chicago classics in quotes, but he knows that he’s facing an audience that may not always know what a rib tip or a bowl’a mostacciol’ is. (Or an Italian beef, even if they’re making enough money at Google to buy a $19 one.) At the same time, they’re the foodie audience that could make a hit out of a 21st century’s chef spin on an old school classic. 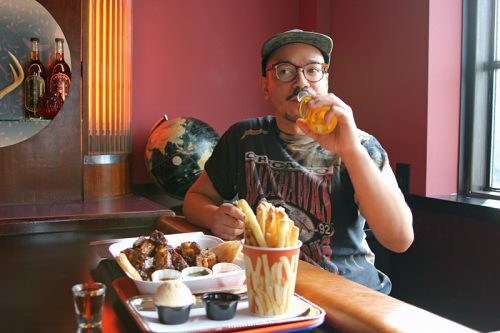 Jirasek feels of two minds on the notion that Chicago blue collar classics are an endangered species. 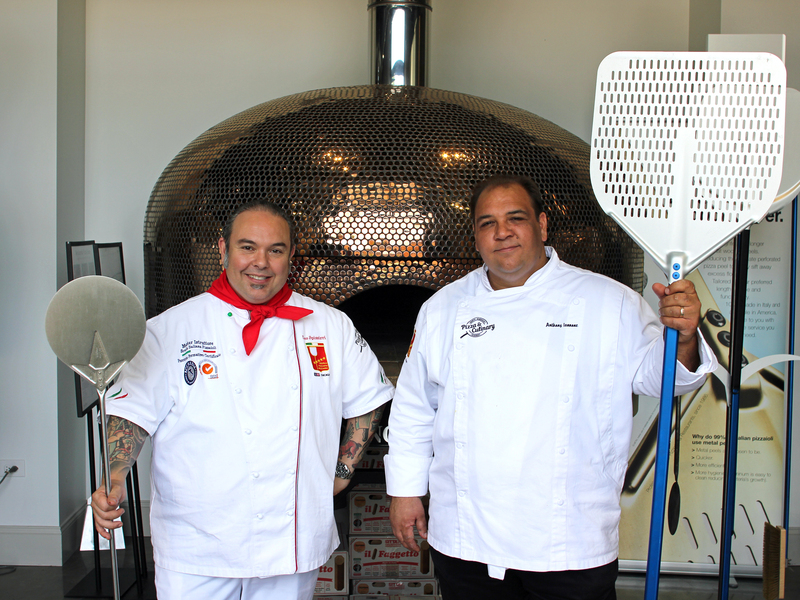 “Some of them are facing endangerment, sure, but look at how the discussion of Chicago pizza has changed and people are really talking about tavern cut as the true Chicago pizza. That was a huge windfall for classic Chicago food,” he says. 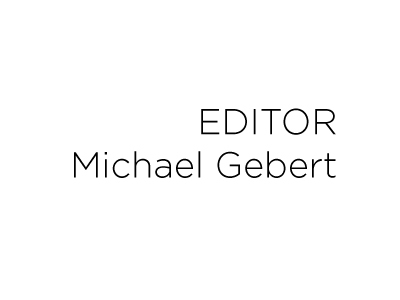 Michael Gebert is dipped, sweet peppers as editor of Fooditor.